With Christmas on the horizon you will all be busy decking the halls with boughs of holly, attending Christm as parties and producing nativity plays worthy of an Oscar nomination. The Game On Scotland team wants to take this opportunity to wish you all a very Merry Christmas and also give you a little something to look forward to in the New Year. Clyde – Glasgow 2014’s official mascot – has been busy visiting local communities over the last few months to let everyone know more about the Commonwealth Games and in the New Year he is keen to visit as many schools as he can. And your school or establishment can win a visit through Game On Scotland, the Glasgow 2014 Commonwealth Games education programme. If you have already registered with Game On Scotland you will automatically be entered into the free prize draw, and you will receive an email soon to confirm this. But, if you haven’t already registered for Game On Scotland – now is the time to do it! If you sign up between now and 1 February 2013 you will be in with the chance to have Clyde visit your school or establishment. All you have to do is register with Game On Scotland (www.GameOnScotland.org) complete the short survey monkey questionnaire with a few more details and you will automatically be entered into the prize draw to win this exciting opportunity. You will then also be able to keep an eye on the Game on Scotland website for further updates and exciting content over the coming months. 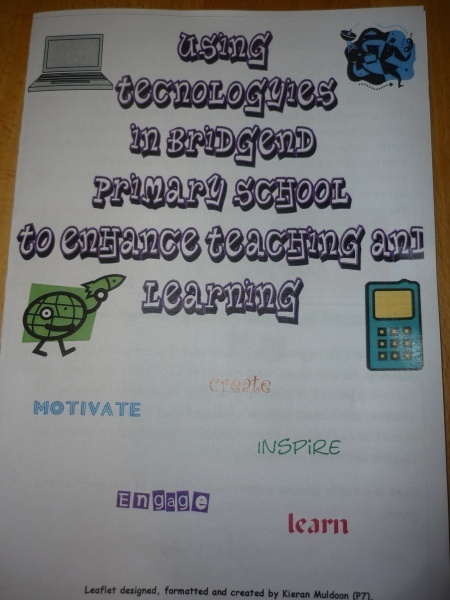 P7 at Bridgend Primary School in West Lothian are helping their buddies in P1/2 to develop their ICT skills. 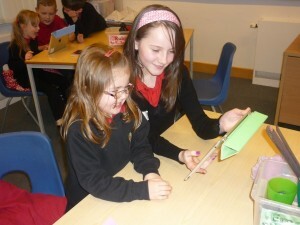 Every week after they have read to each other P7 focus on a skill to teach the P1/2’s. The types of skills being covered are adding photos, accessing the internet and logging on to the different devices we have. To find out more read their blog post here. To find out more about this event read their blog post here. 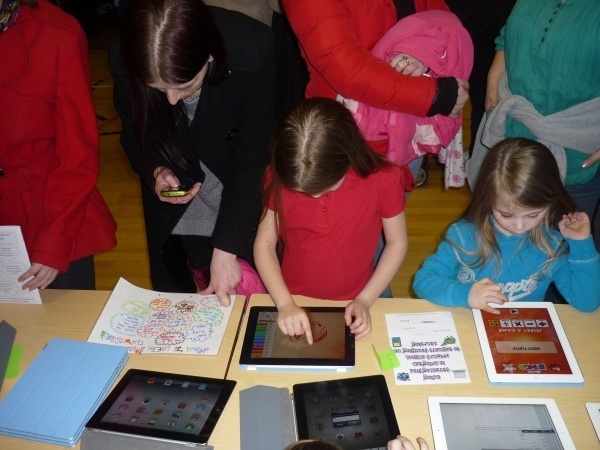 Find out about some of the research behind their information evening here. In this video listen to the Craft, Design and Technology department at Queen Anne High School in Fife Council describe how they have used 3D Computer Software starting in S1 and progressing to S4. In this video the pupils in Kate O’Regan’s P7 class at Livingston Village, West Lothian describe the processes involved in setting up their Community Cafe. 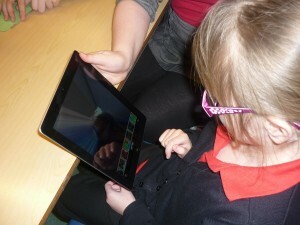 The pupils also explain the skills they have developed during the experience. 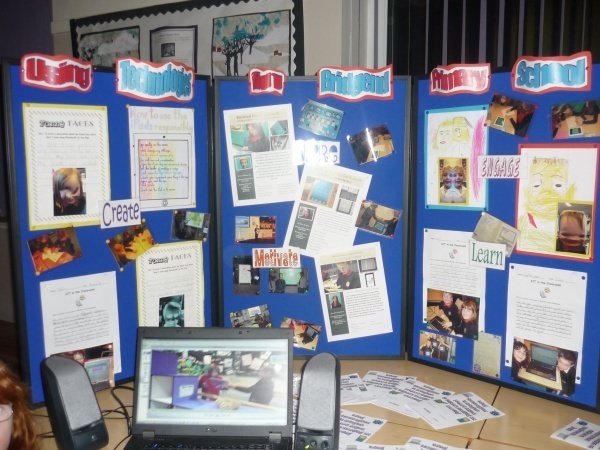 In this video Claire Grubb from Kincorth Academy describes how they have re-written their second year Business and Enterprise Course using the Technologies and Social Studies Experiences and Outcomes. Claire also describes how they assessed the learning. In this video Elizabeth Still a Business Education teacher from Kincorth Academy describes their new S1 Business Enterprise Course. In this video, Lauren Hay a Business Education teacher from Kincorth Academy in Aberdeen describes their Enterprise Project with the Wood Family Trust. The programme focused on the entrepreneurship aspect of enterprise and intergrated entrepreneurship across the curriculum. In this video Kirsty McFaul, Principal Teacher of Design and Technology at Hazlehead Academy in Aberdeen, describes how they redesigned their S1-3 curriculum for Technologies. She also describes an interdisciplinary aspect of the course which involved the Maths and Art Departments. In this video Laura Compton from the Learning and Teaching Development Team in West Lothian explains how they used a Glow Blog to make it easier for schools across West Lothian to share their school improvement plans. Note: Difficulty in opening video clips may be overcome by accessing the blog outwith your local authority network. Receive email updates from this blog!